Kitten sittin’ on my work – Hannah's Happenings! My sisters’ cat is the biggest culprit of this! 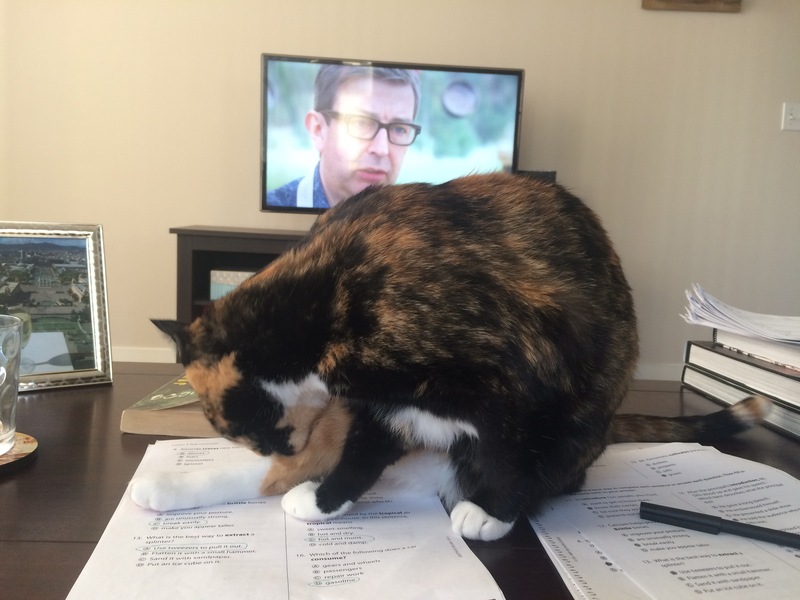 She just pushes everything out of the way, or puts herself in front of you instead. Cheetahs are different…..they tend to sit and stare out the door of the room where you are in,they face away from you. It’s like they are guarding you. Paladin is pretty amazing in this regards. I (patches) do a very similar thing – just sit near Hannah and make sure she is fine. Her sisters cat is the one who must be right in front. Hey paladin! I think you should ask Hannah if she would like to do a guest movie review here. Paladin and Patches has a nice zing to it. We will think of a great movie! Should I message/email you to get a pawprint stamp of approval? You already have the pawprint stamp of approval…just email me your review and we’ll run it! Previous Previous post: Flavor Friday: Protein packing a delicious punch!